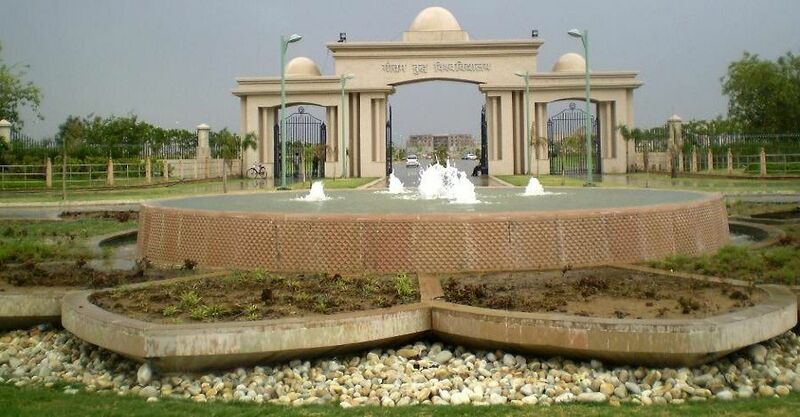 Chaudhary Charan Singh University (CCS) is a state run public university established in 1965. It is set up in Meerut in the state of Uttar Pradesh. The university was formally known as Meerut University. Affiliated colleges under the institute offer courses in various disciplines namely Science, Humanities, Social Science, Engineering, Management and others. The university has 5 faculties with 22 sponsored and 35 self financed job oriented courses. The campus is pollution-free on a sprawling 222 acres of land. It has experimental fields, botanical garden, rose garden, gym, hostel, auditorium, medical center etc. It also has a life-size statue of the late Prime Minister Chaudhary Charan Singh. The university has 225 professional colleges(degree), 109 colleges and 1 constituent college. The admissions into the programs offered are through various entrance tests. For B.Tech/MBA/MCA, UPSEE scores are considered. The university campus is spread over a huge area. There are separate hostels for boys and girls. There are 3 hostels for boys and 2 for girls. The hostel rooms are spacious, well maintained, furnished and well equipped with all modern facilities like 24 hours electricity, water supply internet connection etc, but rooms are limited. There is a reservation for SC/ST/OBC for the hostel rooms. All the hostels have a common room with cable TV connection, Table tennis board, carom board etc. All hostels have own mess which serves good and fresh food and hygiene part is also maintained. Moreover, there is a well-equipped gym, different labs and library. The hostel security is very tight here. Besides the several indoor game facilities, this university also has some outdoor sports facilities such as badminton, basketball, tennis, volleyball courts, football ground. For providing the scholarship to its students this university follows the UP govt. rules and regulations. CCS , Meerut offers following courses in Law,Horticulture,Education,Statistics,Botany,Mathematics,Zoology,Agriculture,Home Science,Nutrition,Computer Application,Journalism & Mass Communication,Business Administration,Physical Education,Bio-Technology,Other Science,Social Work,Agriculture Engineering,Electronics Engineering,Computer Engineering,Mechanical Engineering,Chemical Engineering,Other Engineering & Technology,Information Technology.